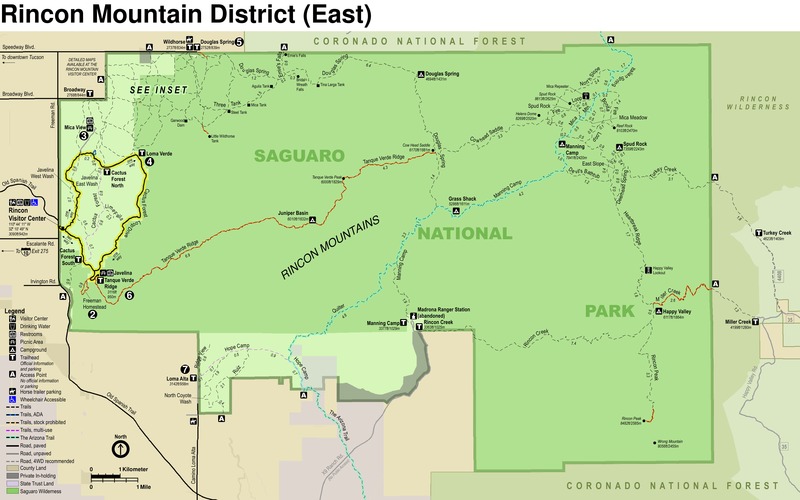 The Javelin Wash along with Monument/Wildhorse Wash and Bajada Wash in Saguaro National Park East are the Three Large washes that drain the western most portion of Tanque Verde Ridge from Tanque Verde Peak west. Javelina Wash drains the far western portion of the ridge and is by far the longest wash. The Javelina Wash along the desert floor is more of a system of streams that intertwine between Creosote and Mesquite Trees sometimes criss crossing each other with the same goal of getting down to Tanque Verde Creek. 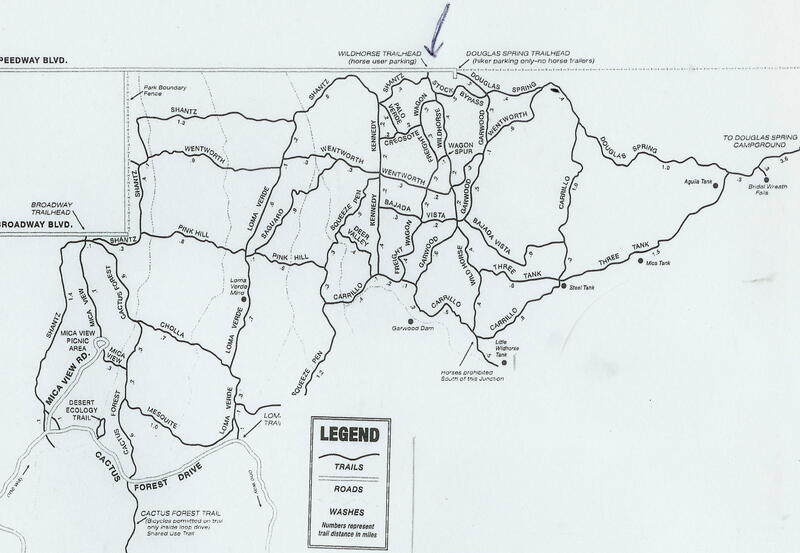 The Javelina Wash Route (not actually a trail) starts at the Shantz, Vanover trail Junction and heads south to the Cactus Forest Loop Drive at the Desert Ecology Trail Head. From the Broadway Trail Head, take the Shantz Trail North for 1 mile to the Shantz, Vanover Trail Junction. Once on the Vanover Trail, immediately to the right is Javelina Wash. The wash at this point appears to be a large single wash but it is actually is a flood plain 700 feet across. The route follows this main wash most of the way to the end at Cactus Forest Loop Road, only a couple of times diverting out of the main wash to bypass a part of the wash that narrows and has become overgrown with trees or brush. This “trail” I like to think of as self maintained, after a large down pour the route resets itself by clearing all the tracks and smooths it over. Sometimes the route will change if the water creates a new main wash.
Javelina Wash along with Loma Verde Wash appear to be used more by people on horseback and this makes it harder to walk on because of the soft sand. 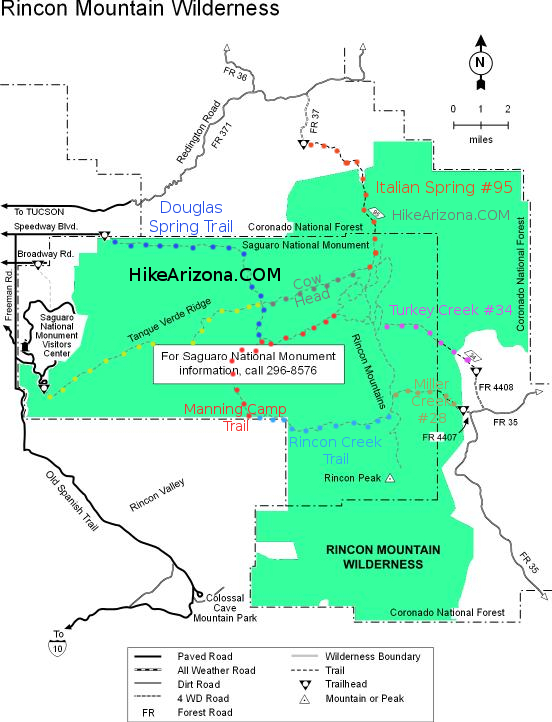 It is best to hike this trail after a rain that will pack the sand or after a large monsoon storm that will perform a reset in the self maintaining mode. 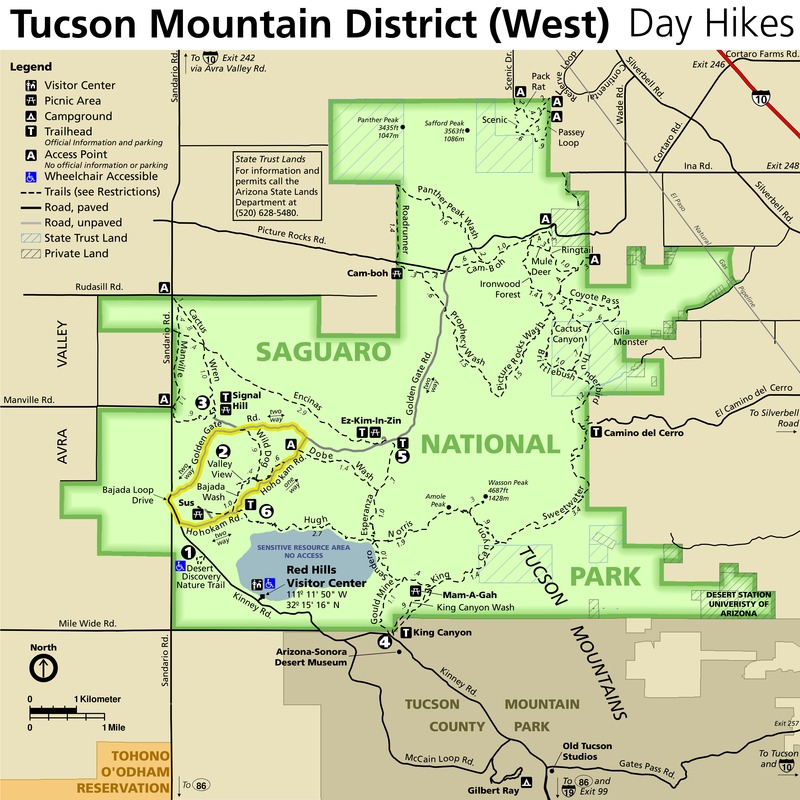 This is a good early morning hike for observing the variety of wildlife Saguaro National Park has to offer. 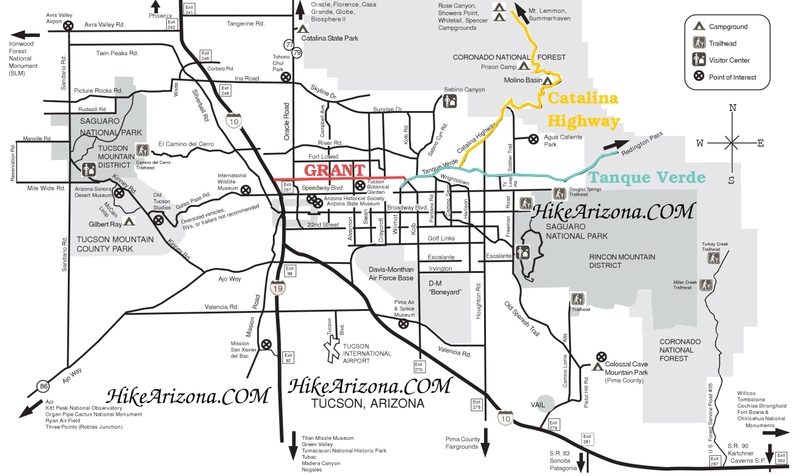 This is also a good hike to combine with the Javelina Wash East and West Loop.